Four years ago, I taught my two year old about the days of the week in an exercise meant to introduce her to the spiraling, cyclical nature of time. 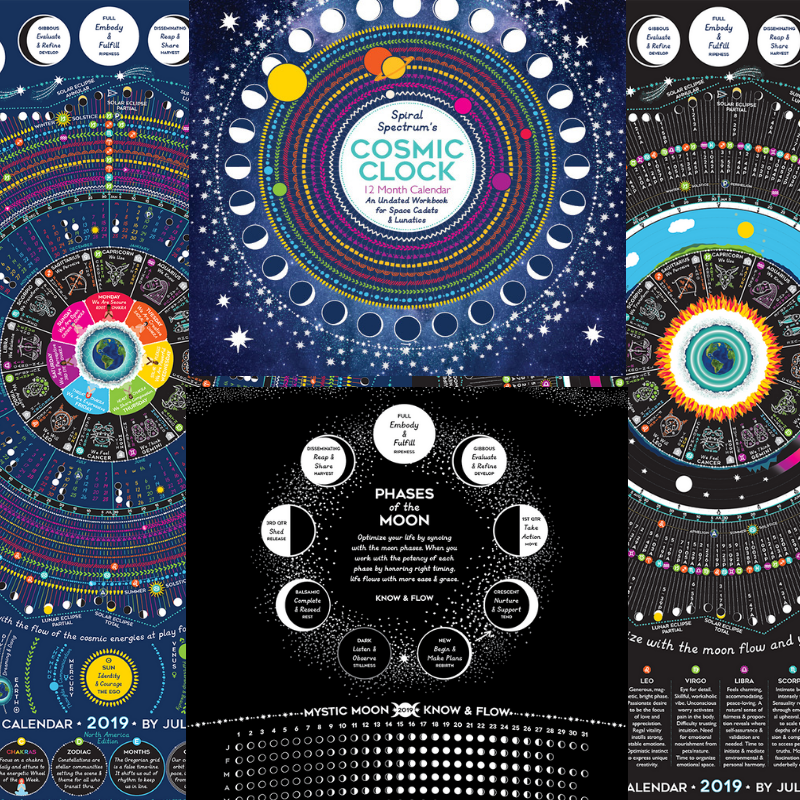 That Wheel of the Week lesson inspired my flagship poster: the Cosmic Calendar (read the backstory in full here). How appropriate that we’ve come full circle and now my little lady was inspired to get involved in my YestermorrowShop by re-creating this simple lesson for kids everywhere. All of the pieces to go into her kits, which are available now in the Etsy shop for $2-$5. The kids keeps 100% of the revenue, as she’s doing all of the work herself! The kit includes flashcards with the days of the week on them with a font that encourages tracing. And seven wedges for seven days and seven chakras! She’s learning about product development, tracking sales, money management and hosting video tutorials. Win, win, win: she’s sharing the gift of real time to other little people. Support her start-up by purchasing your ready to assemble Wheel of the Week Kit here. The worksheet itself we’ve decided to offer as a Free Download, if you prefer to use materials you have on hand. Please just send us a photo of your final product and any tips you might have to make the lesson even better.